We will share ONE step every bulk SMS user must take to ensure faster or instant crediting. When registering for Bulk SMS, use your active email address; that is an email address that you receive emails regularly from, not a dormant one. This is very important, because it is associated with your Bulk SMS account and it is exclusively yours, when you are credited with your Bulk SMS Units, an email is sent to that email address to notify you. 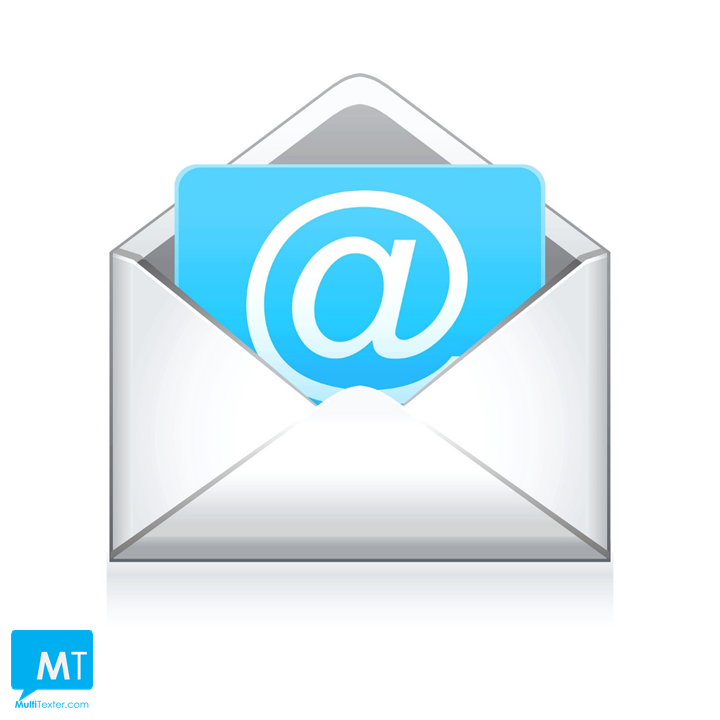 Ensure that you pay attention to every detail of the email address, like the letters , punctuation and even symbols. This is necessary because you may not be able to log into your accountif you use the wrong email address while registering.So make sure that your email address is correct and please check more than once to be sure. Sometimes, we may need to send you a set of instructions on how to use our Bulk SMS Platform, for example; how to save numbers on your Multitexter Bulk SMS account phone book . So it is only when you have a working email address that you can get this message . It is this email address that you have to use as depositor's name while paying at the bank or while making a mobile transfer to enable you get your SMS units instantly, without any delay. Bulk SMS has contributed a lot to the transportation sector.Transportation Business is one of the fastest growing businesses in Nigeria today. It is used mostly for Transportation Business is one of the fastest growing businesses in Nigeria today. It is used mostly for travelling to far places, when you don't have access to a car or you do not want to drive. Transportation does not only have to do with Buses moving people from one place to another, we also have the courier service or shipments. Now , to make things easy, Bulk SMS can be used for logistics in transportation, to state the route each bus is taking , the time of departure, time of arrival of the goods. This is a very cost effective method of communication between the transportation company and the commuters. Bulk SMS can also be used to track orders, when a customer places an order, it states when the goods ordered has been shipped or it is en-route to the receiver. This guarantees safety and puts the customer's mind at rest.So, from the ware house to the point when the customer receives the order, Bulk SMS can be used . Buying of tickets, bookings and reservations can also be done through Bulk SMS. Its a cheaper option compared to making phone calls and it is even easier. What are you waiting for, if you own or run a transportation business or you are a customer, register on our platform to start sending SMS. The new month is here again! Welcome to June! It is a great opportunity to send your best wishes or prayers through Bulk SMS to your loved ones. You can also send SMS to your colleagues, family, customers or clients, neighbours and even your church or mosque members. You can also send SMS to your colleagues, family, customers or clients, neighbours and even your church or mosque members. Here are some samples of SMS you can send for the new month. "Dear customer, We wish you a better and promising new month. We want to serve you better. Do not hesitate to call us on 081-8578-4118 for any enquiry. Happy New Month." "As the sun shines and it is visible for and is visible for all to see, so shall the glory of God be in your life always. Happy New Month." 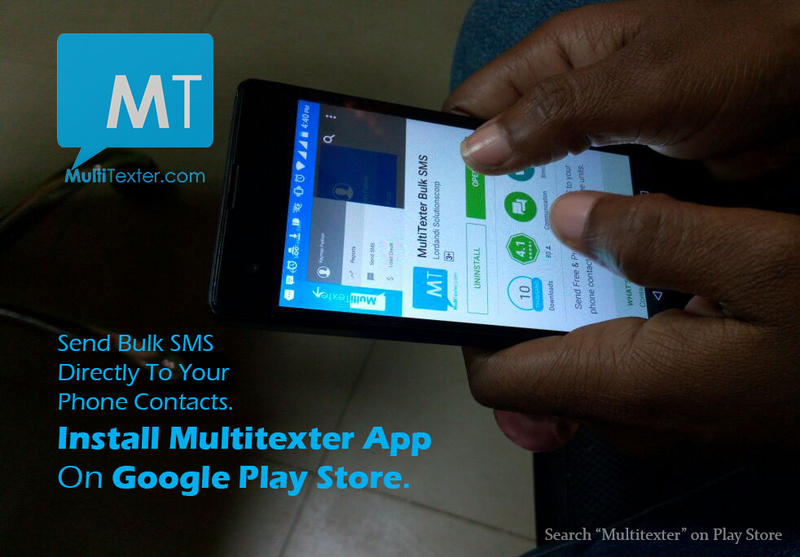 INSTALL MULTITEXTER BULK SMS MOBILE APP ON GOOGLE PLAYSTORE. CLICK HERE " May your Tomorrow be brighter, May this new month be more Successful. I wish that this month brings more iinspiration and love to your life. Happy New Month." "Dear customer, We wish you a better and promising new month. We want to serve you better. Do not hesitate to call us on 081-8578-4118 for any enquiry. Happy New Month." "Hello June, A new month is before us, An old one left behind. The only wish I have for you is that the month of June will favour you. Wishing all of my friends and family a wonderful month ahead"
Sign up for Bulk SMS to start sending your new month messages. 9 Ramadan Sample SMS You Can Send This Season. Here are samples of Ramadan Bulk SMS, you can send to your loved ones during this Ramadan Season. "May you find peace, joy and happiness as you offer fasts and prayers to Allah. Happy Ramadan." "As Ramadan begins, talk with caution, treat everyone kindly, walk uprightly and pray sincerely from your heart. I wish you a blessed Ramadan." "Eid-ul-Muburak! May the blessings and reward of this gracious month be with you now and forever. Endeavor to save for the future as you rejoice today." "Happy Ramadan! Wishing you a very happy Ramadan. May all your prayers be answered and may everything that you do prosper." "Ramadan Mubarak! Wishing you joyous Iaughter with joy, success, peace of mind, happiness and good health always." 6. "May Allah flood your life with happiness on this occasion, fill your heart with love, fill your mind with wisdom. Wishing you a very happy Eid Mubarak" 7. "May this Ramadan be as bright as ever. May this Ramadan bring joy and health and wealth to you. May the Festival of Lights brighten you up and your loved ones too." 8. "May the most merciful and the most generous keep you and your family safe. By learning and following principles from the holy Quran, May Allah keep you steady on his path always. Ramadan Kareem Mubarak." 9. May he pour his divine blessings on you like Rain throughout this holy month. Recite Quran for blessings. Remember others in your prayers and Allah will give you more than your heart desires." So you can use the following the above samples as SMS templates for Ramadan. To get started click here. Are you seeing INFODESK on recipient’s phones when you send Bulk SMS? Be aware that, this is an antifraud measure from MTN networks and to ensure SMS delivery especially to DND active numbers. ONLY MTN DND ACTIVE NUMBERS are affected with this Change of Sender Name to INFODESK. Other GSM networks and Non MTN DND numbers will receive your Sender Name. Remember you can sign up for bulk SMS on the mobile website and on the mobile app. 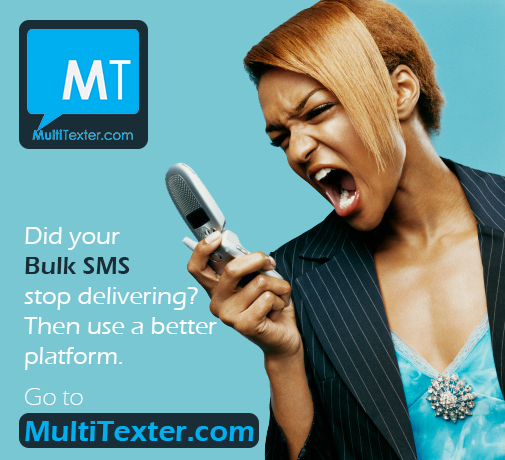 Sending Bulk SMS on Multitexter has been the simplest and cheapest way to convey important updates, messages, information or promo about your products, services or events or even daily prayers and motivations. Your recipients' phones are the closest gadget to them, so your bulk SMS will definitely get to them. You can send Bulk SMS to thousands of people at the same time. This means that you do not have to send only one SMS at a time. Once you type all your numbers in the recipient box, they all get your SMS at the same time. It is a sure means of reaching people. This is because everyone reads their text messages or SMS. Calls can be missed when there is a network issue or the phone is switched off, but text messages will still be received whenever the phone is switched back on. Bulk SMS helps in business growth. Since a lot of people get to receive your Bulk SMS, it can be used as a medium to advertise your Business and it has been confirmed over the years that customers can patronize your business because of the adverts sent to them via Bulk SMS. It can be used for religious purposes. Sending prayers, Bible verses, Islamic quotes, reminders or invites for church programmes can be sent through Bulk SMS to thousands of people all over the country just within the comfort of your home or office. Invites for Seminars, Events, and Weddings have been made easy with Bulk SMS. You can invite people for any Event through Bulk SMS, instead of printing cards or hand bills. It saves time and money. It is very affordable compared to calls and since you can send SMS to multiple numbers at once, it also saves time. Delivery of Bulk SMS is instant. No delay. Each recipient gets the SMS immediately. You do not have to wait for hours before the SMS reaches the recipient. 9 Steps To Notify People With SMS About Your Wedding. To get started sign up for Bulk SMS on our platform. Sort out the numbers of those that you want to attend your wedding. Use your email address as the depositor’s name while paying at the bank, also use your email address as the remark or narrative if you are doing a mobile transfer. Compose an SMS that includes details of the wedding like the location, phone number and the time. Click on Send SMS on the website, type your composed message in the message box. Also add the numbers of the recipients in the recipient box separated with a comma. Fill in any name of your choice as sender name and type the recipients’ numbers in the recipient box. Please submit the sender name you intend to use to support@multitexter.com so it can be registered. Note that the sender name must not be more than 11 characters. Include your own number amongst the recipient’s numbers to monitor delivery. "We invite you to our wedding as we take the next big step of relationship and commit ourselves to a marvellous wedding. We would appreciate your presence and blessings wholeheartedly. RSVP 080-1234-5678” Compose your wedding invites with the samples. Fill in your customized Sender Name (BrideGroom), add the numbers and Send! The families of (Bride’s family) & (Groom’s family) request the honour of your presence to witness the sacrament of Holy Matrimony untiring their children (Brides name) & (Groom’s name). If you haven’t registered, Click sign up to get a bulk sms account. NOTIFY: Why Am I Getting This Sender ID? If you noticed that your Sender Name changes to NOTIFY on recipient's phones, be informed that, this is an antifraud measure from MTN networks and to ensure SMS delivery. The DND- Do Not Disturb service from MTN Nigeria requires that SENDER IDs and SENDER NAMES get registered. Click here to register for Bulk SMS; Buy Bulk SMS online or through mobile transfer.
" MTN NIGERIA will be implementing full blocking of Sender IDs (Source Address/Alphanumeric IDs to identify your SMS) that have not been whitelisted/registered on their platform." The solution, therefore: you will need to send us through email (support@multitexter.com) your SENDER NAMES, which you use regularly. So we can send to MTN Nigeria for registration. We would forward this to the GSM networks so your bulk SMS get delivered in your custom Sender Names. Note that you can still DO NOT DISTURB on all GSM networks. Click deactivate DND for details. CQSMS: What Sender Name Is This? 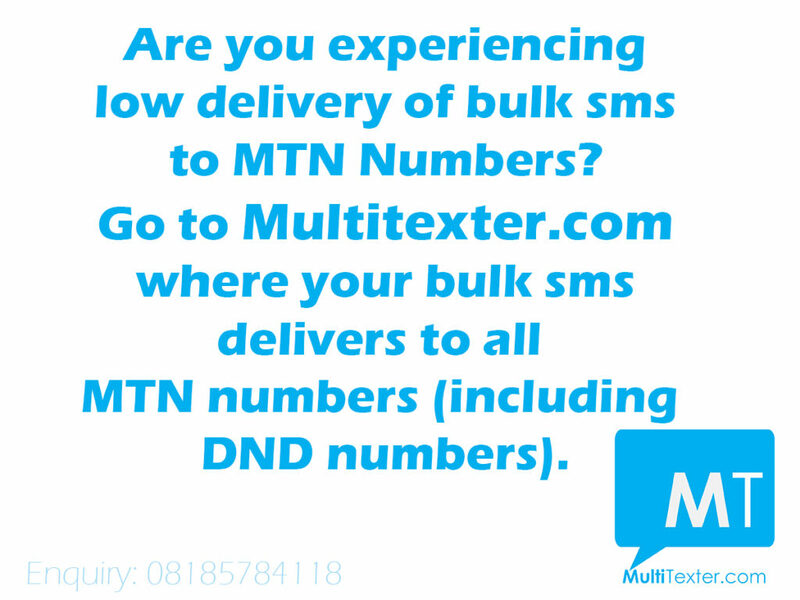 There has been a restriction on SENDER IDs or SENDER NAMES especially on DND- Do Not Disturb service from MTN Nigeria. Due to this new development, your SMS will be received with sender name: CQSMS or NOTIFY. This is an Antifraud measure. Register for bulk SMS here and recharge for bulk SMS online or with mobile transfer. "Please be advised that effective 23:00 HRS on 12/05/2017, MTN NIGERIA will be implementing full blocking of Sender IDs (Source Address/Alphanumeric IDs to identify your SMS) that have not been whitelisted/registered on their platform." 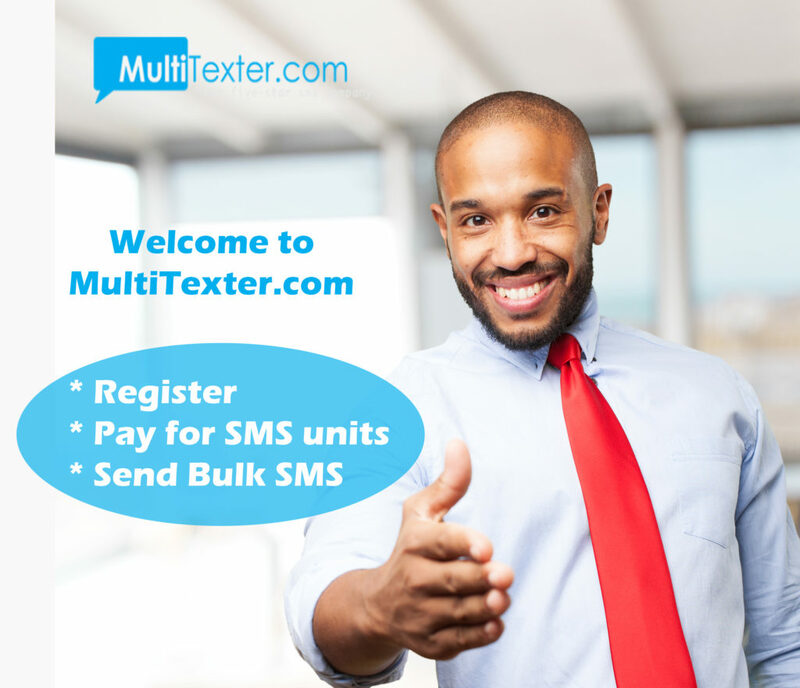 We ONLY require that you submit your regular SENDER NAME to us via mail (support@multitexter.com) so we can register your customized bulk SMS name. This will continue to appear as the Sender instead of NOTIFY or CQSMS. BULK SMS: WHAT IS SENDER NAME ? 9 Easy Steps to Invite People to Your Events. 1. Register for Bulk SMS by clicking here or simply download the app here 2. Get the numbers of all the people you want to attend the event: families, friends, colleagues and loved ones.. 3. Recharge your account by selecting any of the following accounts to pay into either by doing a MOBILE TRANSFER, CASH DEPOSIT at the bank or PAYING ONLINE with your debit card. Account: LORDANDI SOLUTIONSCORP Diamond 0057723432 Zenith 1013623868 GTBank 0050933658 First Bank 2025330474. You can click here to view our price list. 4. Use your email address as the depositor’s name while paying at the bank, also use your email address as the remark or narrative if you are doing a mobile transfer. 5. Compose an SMS that includes details of the event like time, and location . 6. Click on Send SMS on the App or on the website, type your composed message in the message box. 7. Fill in the sender name of your choice. 8. Include your number among the recipients' numbers to monitor delivery. 9. Click SEND. 5 Ways Bulk SMS4Schools Can Benefit Your Organization. SMS4Schools is targeted at getting more people to know about your school, and passing information to the public and the parents/guardians of your students using bulk SMS. It can be used by School Administrators, Principals, Proprietors and Proprietresses. To get started is very easy. Click SIGN UP FOR BULK SMS and start sending SMS. We can not over emphasize the use of Bulk SMS in schools. It can be used to make announcements of resumption dates, upcoming trips, excursions, change in syllabus, Parent Teacher Association(PTA) Meetings, dates of holiday (Mid term Break, Public Holidays, Short and Long Holidays). 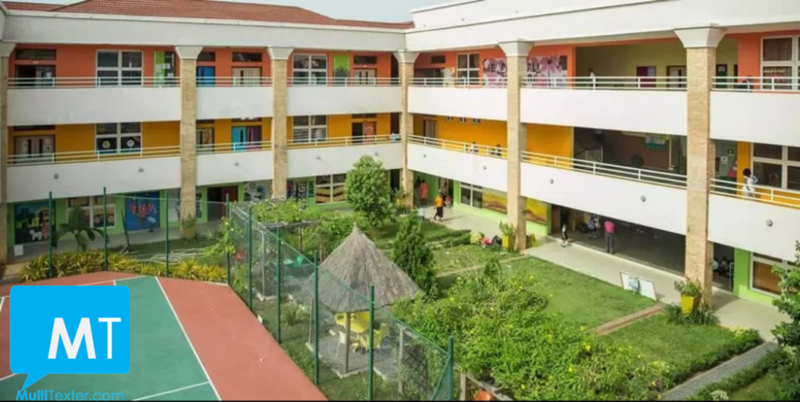 The most important use of SMS4Schools is that it helps your school grow in population: When a lot of People read about your school in Bulk SMS they get from you, they will want to give your school a shot, especially when they know that your school is one of the best and its around their vicinity. "Read more on How To Send Bulk SMS from your phone browser or laptop or desktop." Every parent wants to enrol their children in schools where, they can rest, assured that they are being given the best education and safety is guaranteed. Now, to get started is very easy. All you need to do is to click SIGN UP FOR BULK SMS. When you click on this link, it takes you to our website where you can start sending your Bulk SMS to any other of your choice. 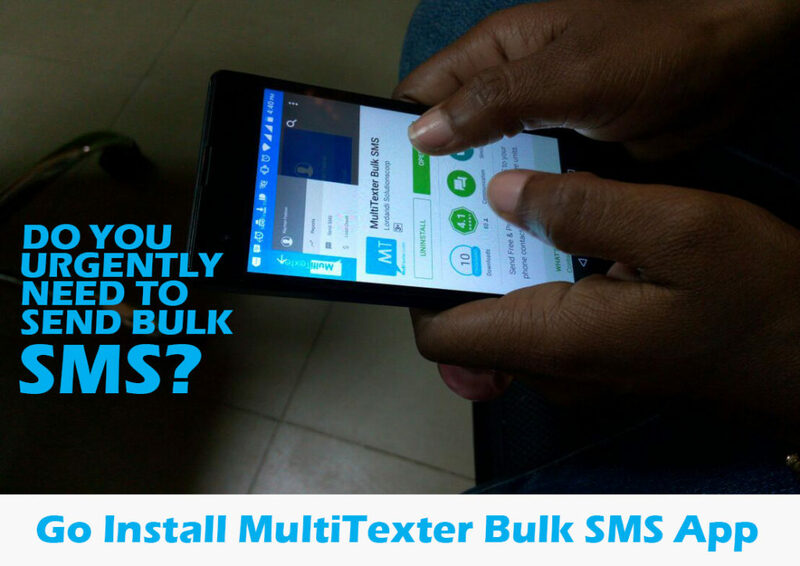 "You can also install the BULK SMS mobile app on any Android phone." 9 Easy Steps to Publicize Your Children's Day Promos and Discounts. 1. Get the numbers of your clients or those that can possibly be interested in your goods or services. 2. Register by signing up for bulk SMS or register after downloading the app here 3. Buy Units by using any of the payment options, Mobile Transfer or Cash deposits to Account Name: LORDANDI SOLUTIONSCORP; Diamond Bank 0057723432; Zenith Bank 1013623868; Guaranty Trust Bank 0050933658; First Bank 2025330474. 4. Use your email address as the depositor’s name while paying at the bank, also use your email address as the remark or narrative if you are doing a mobile transfer. 5. Compose an SMS that includes details of your company and the services you render, location, phone number, your children's day discounts, sales and promos. 6. Click on Send SMS on the App or on the website, type your composed message in the message box. 7. Fill in your company's name as sender name and type the recipients’ numbers in the recipient box 8. Include your own number among the recipient’s numbers to monitor delivery. 9. Click SEND. Advertise Your Catering Business With Bulk SMS. Are you a Caterer and you want to advertise your unique services, cooking skills and excellent customer service to people? 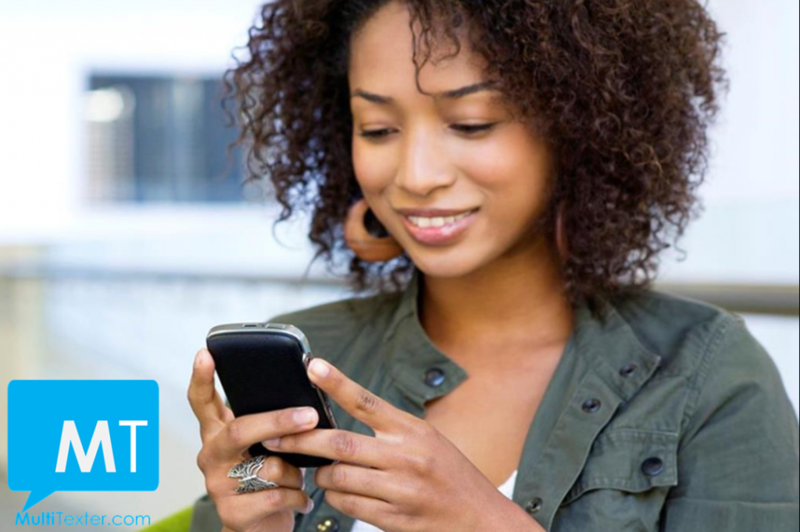 Simply use Bulk SMS in Nigeria. All you need to do is to register for bulk sms by clicking here and follow the simple steps to start sending messages. 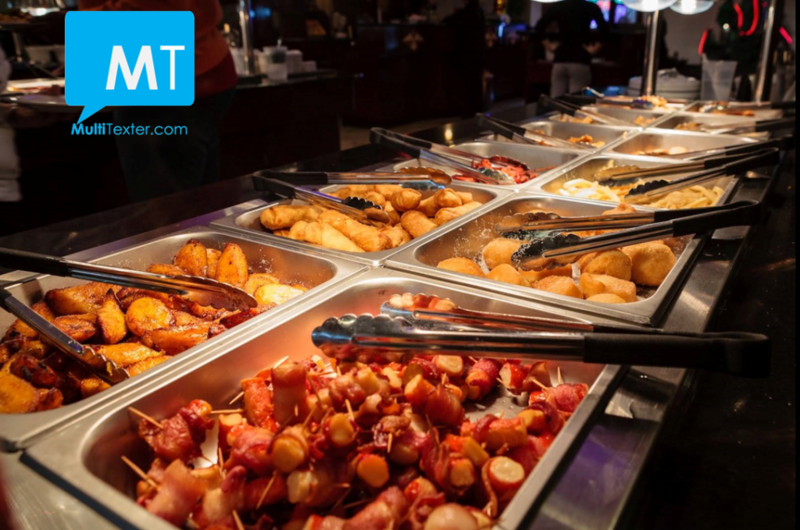 People make use of caterers regularly, either for events, meetings, parties and even religious programmes. Caterers are also needed to provide food for some families daily or weekly. [caption id="attachment_3046" align="aligncenter" width="1024"] Click Image To Open A Bulk SMS Account[/caption] We can't overemphasize need for caterers around and there are a lot of people in need of your services. Just get your numbers, register on our platform and start sending your SMS. You can schedule messages to deliver later or just start sending your SMS anytime, week day or weekends. Remember, with our platform , your text messages deliver instantly to all the recipients including DND active numbers . 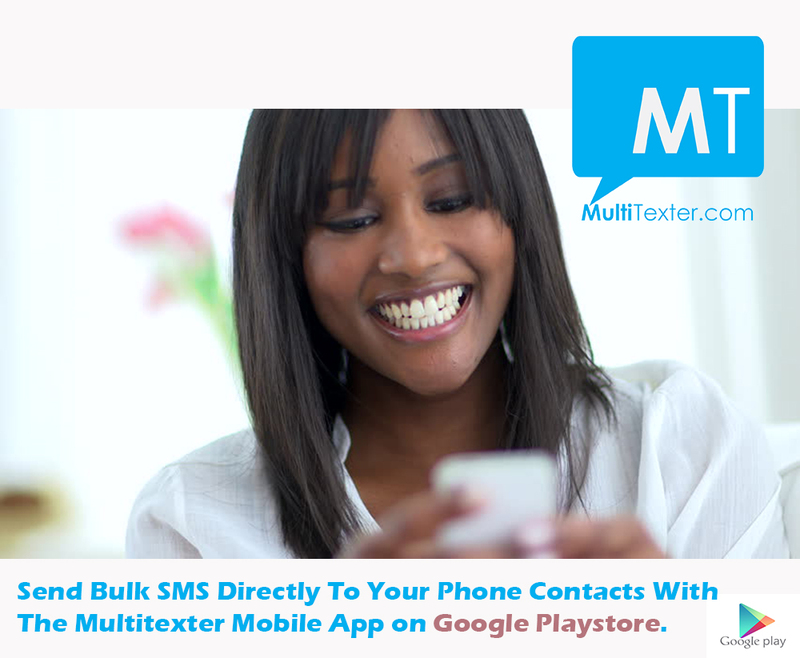 You don't need to start typing your numbers one-by-one, simply download the MultiTexter app on Playstore here. 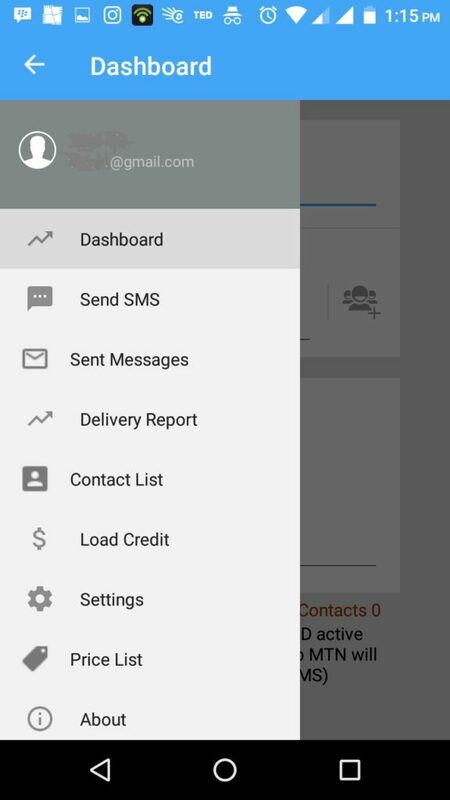 Select your phone contacts directly from the mobile app and send! Easy and less-stressful. 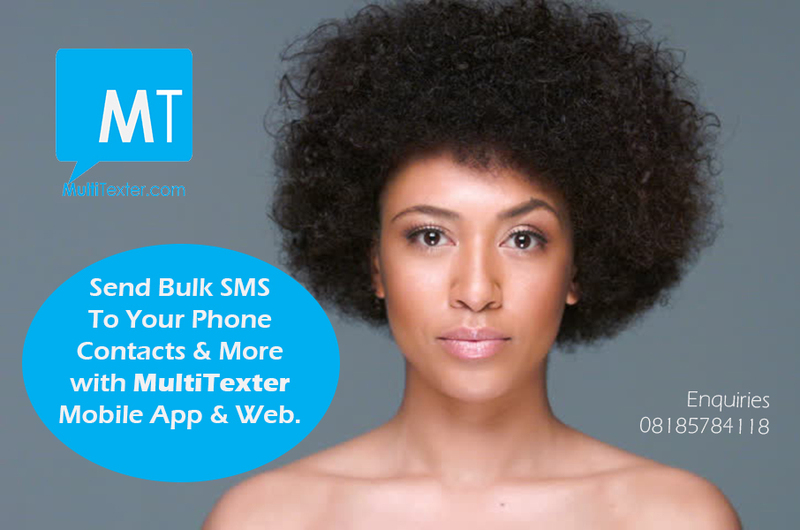 Multitexter Bulk SMS App allows you to easily send free and premium bulk SMS to all GSM networks in Nigeria, including MTN that are DND active. We provide Bulk SMS services to Individuals, Corporate Organisations, Churches, NGOs for events purposes (weddings, launch, training) and Business owners. You Can Download Bulk SMS Application Or use our mobile Bulk SMS website. 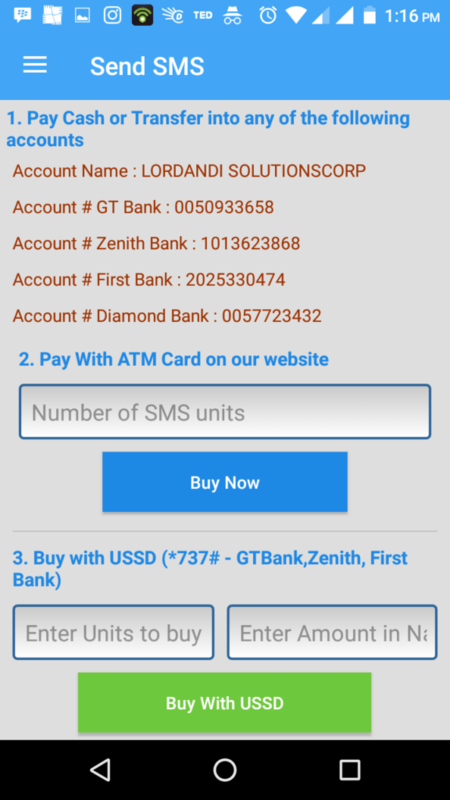 Send Bulk SMS or Text Messages to MTN, Glo, Airtel, Etisalat, Visafone Networks, at a very affordable cost with the bulk sms mobile application. 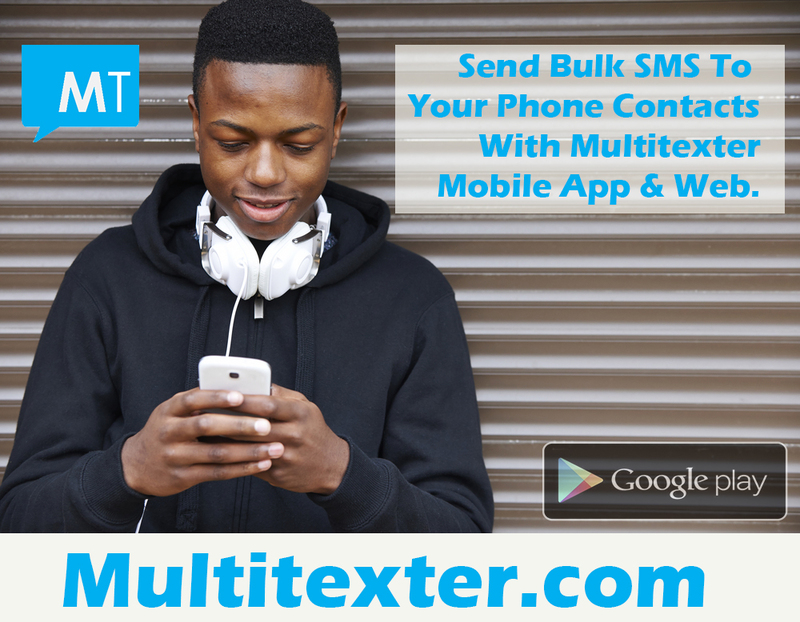 Step 1 Install the mobile app by clicking here or search for "MultiTexter Bulk SMS" on Google Playstore. Step 2 After installing, click "Registration" to sign up for an account. Step 3 Log in with your email and password. Step 4 Click the "Top Left Icon" and Click "Load Credit" to buy bulk SMS. You can pay online with your debit card/credit card. You can make a mobile transfer or USSD code or Bank deposit or ATM machine transfer. 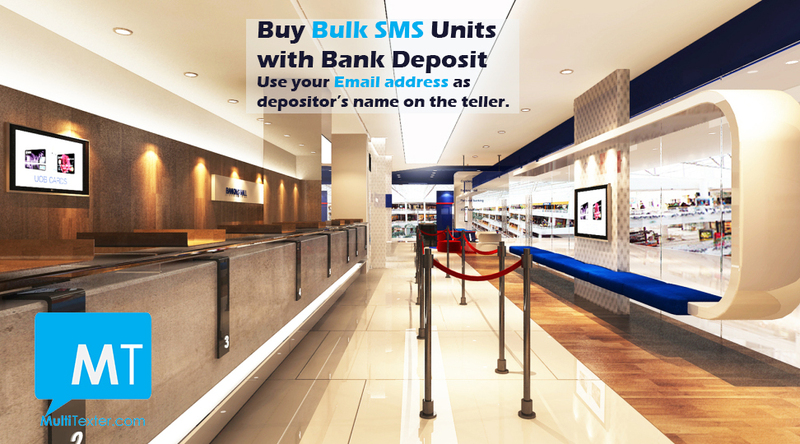 Simply fill your email as depositor's name (deposit) or as the remark (bank's mobile app transfer). You can also call 08185784118 for assistance. Step 5 After successful recharge, you can send bulk sms directly to your phone contacts. Go to "Price List" to see charges based on volume. With recent directives from Nigerian Communication Commission (NCC) and GSM networks blocking phone numbers (MTN & Airtel) from receiving bulk SMS, it is important to know how to avoid this delivery issues. When signing up, use an active EMAIL ADDRESS (that you have access to) and use an active PHONE NUMBER (in a working mobile phone) and you are done with the registration. RECHARGE the fast way: Make a quick mobile transfer or pay online with your debit card/credit card. When sending to contacts, ensure they are active numbers by your recipients. Simply ask them to drop their main phone number(s) or the line inserted in a phone. Also, include your phone number when sending to your recipients to monitor delivery and TICK the PRIORITY ROUTE to ensure delivery to DND MTN numbers. If you need any further assistance you can reach via mail or 08185784118 (SMS/WhatsApp). [caption id="attachment_2736" align="aligncenter" width="626"] Click Image To Sign up for bulk SMS. 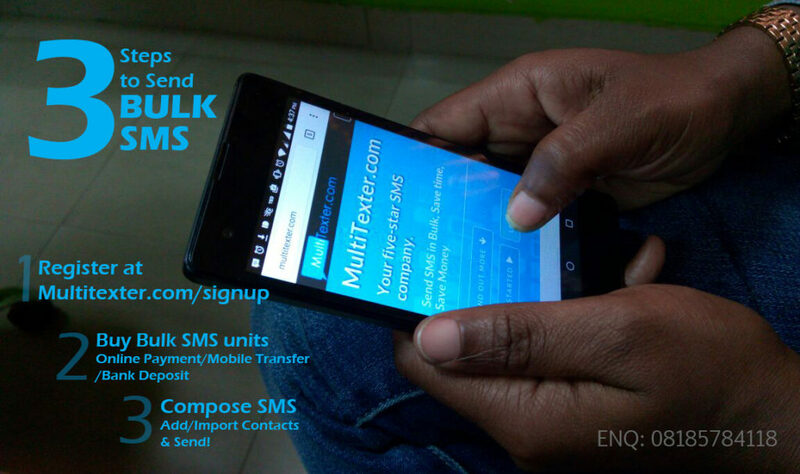 [/caption] Have you been wondering how to activate your bulk sms after signing up for bulk SMS? Follow these steps. Simply walk into any of the above banks, pick up a DEPOSIT SLIP, then fill in our account name and number and fill in your EMAIL ADDRESS as the DEPOSITOR'S NAME. Once your payment is posted, the bulk sms units will be added to your bulk sms account automatically. Our Bulk SMS packs are at the end of this post. Another fast way to activate your bulk sms is by making MONEY TRANSFER through your bank's mobile app or USSD codes or Quickteller or Paga or even buy bulk sms on any ATM machine. 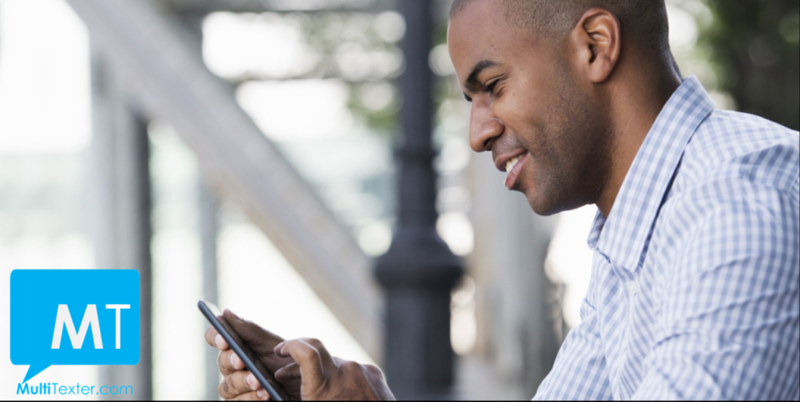 Simply use your email as remark or description or narration on your bank's mobile app. No need to go to queue up at the banking hall or even use a working ATM machine. The USSD code is easy fast and very convenient. To transfer to our GTBank account, simply dial *737*1*Amount*NUBAN Account No# e.g. *737*1*1000*0050933658# from the mobile number registered with the Bank. Account Name: LORDANDI SOLUTIONSCORP GTBank 0050933658 After a successful transfer, simply fill your transfer details here. Dial *770*NUBAN Account number*Amount#. For instance, transfer N1000 to our Firstbank account 2025330474, dial *770*2025330474*1000# from the mobile number registered/linked with your Fidelity Bank account. After a successful transfer, simply fill your transfer details here. Dial *894# and follow the instruction to transfer money for bulk sms to our FirstBank account or any of our accounts. Transfer N1000 to our Firstbank account 2025330474, dial *894*1000*2025330474#. 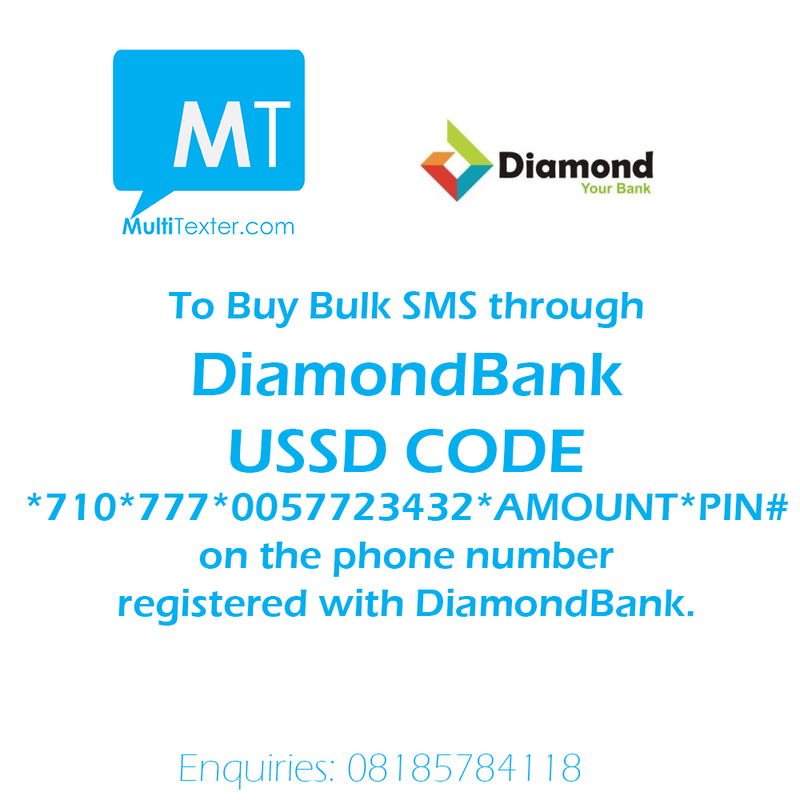 For Diamond Bank Y’ello account holders, to Transfer money to any bank Dial *710*777*ACCOUNT NO*AMOUNT*PIN#. Dial *326# and follow the instruction to transfer money for bulk sms to any of our accounts. Account Name: LORDANDI SOLUTIONSCORP Diamond 005 7723 432 Zenith 101 3623 868 GTBank 005 0933 658 First Bank 202 5330 474 Dial *326# to get started. After a successful transfer, simply fill your transfer details here. To transfer money with Zenith USSD code to another account Dial *966*Amount*Account Number# (e.g. 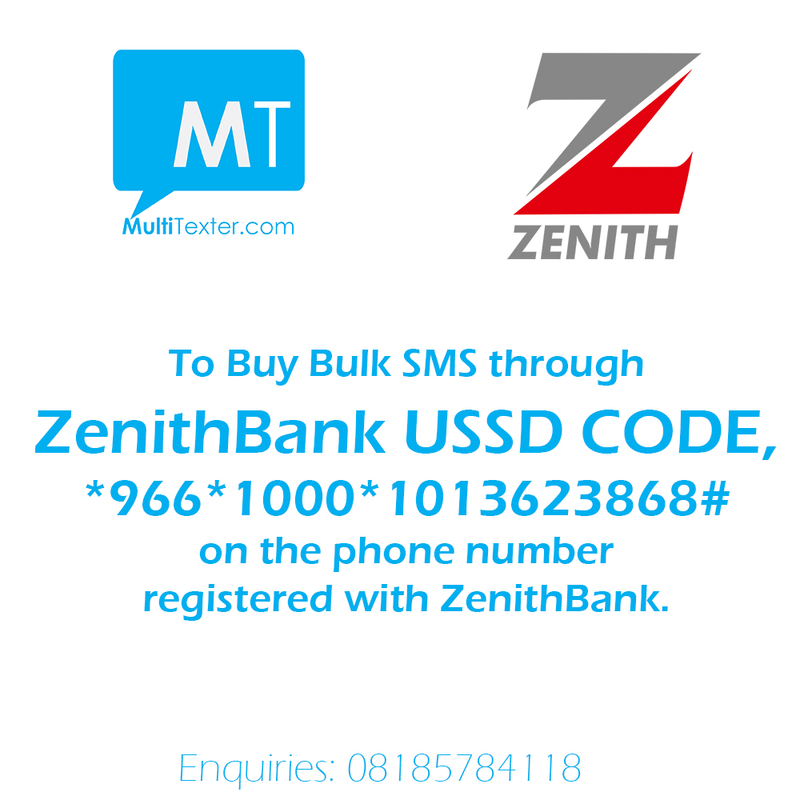 *966*1000*1013623868#) from the phone number you registered with Zenith Bank, then follow the on-screen prompts. After a successful transfer, simply fill your transfer details here. Dial *822# on the phone number linked to your sterling bank account and follow the instructions. Heritage Bank Dial *322*030*ACCOUNTNUMBER*AMOUNT# KeyStone Bank Dial *322*082# (MTN, AIRTEL & ETISALAT) or *805*082# (GLO only) and follow the steps to transfer. Union Bank Dial *389*038# follow the instructions afterwards to transfer money. *NOTE THAT YOU CAN CHECK FOR UPDATES ON TRANSFER CODES ON YOUR RESPECTIVE BANK'S WEBSITES. BULK SMS: HOW DO I KNOW MY REGISTRATION IS SUCCESSFUL? First of all, you need to register here and we will create your account with some free units. You are free to use your free SMS units to send SMS to any GSM phone with any sender name of your choice.